Since 1992, we've worked with thousands of clients, made over 10 million deliveries, and had the chance to deliver many unique items . At the top of list was the privilege to transport the official 1996 Olympic Torch. Our history delivering to the Metro DC area 24/7, 365 is legendary to those clients that have been with us since our humble beginnings. Thank you to all of our current clients for your patronage. 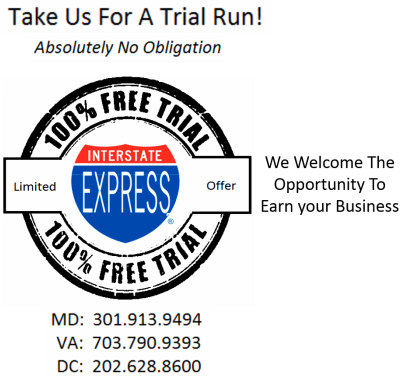 Experience, integrity and a solid track record has earned Interstate Express its reputation as one of the leading same day 'on-demand' delivery companies in the Metro DC region. We look forward to providing our exceptional service for many years down the road.